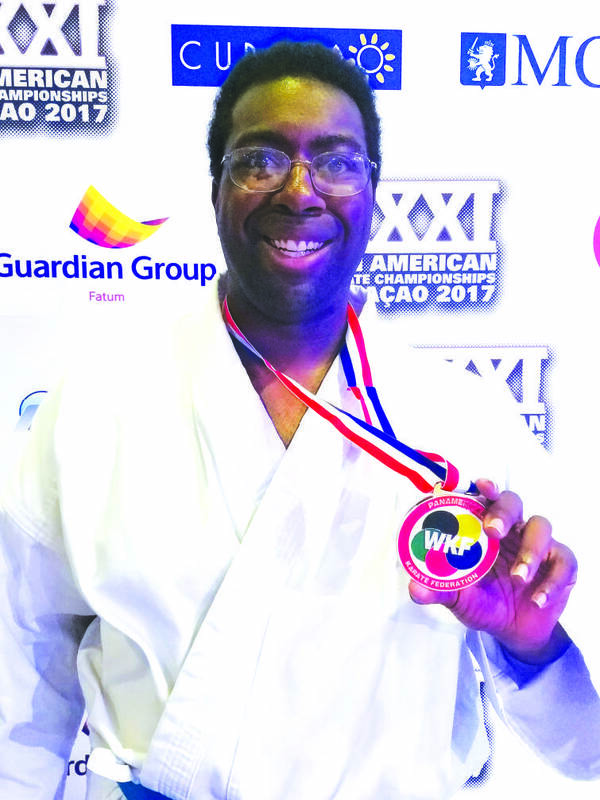 After being the first American with autism to compete internationally in karate in 2016, Brainerd resident Ryan Rogers broke new ground in May when he won silver at the Panamerican Karate Federation Championships in Curacao, becoming the first American with autism to medal at an international competition. Rogers trains at Green's Karate in Hixson under Sensei Corey Green, who has made a name for his school by training students with disabilities. 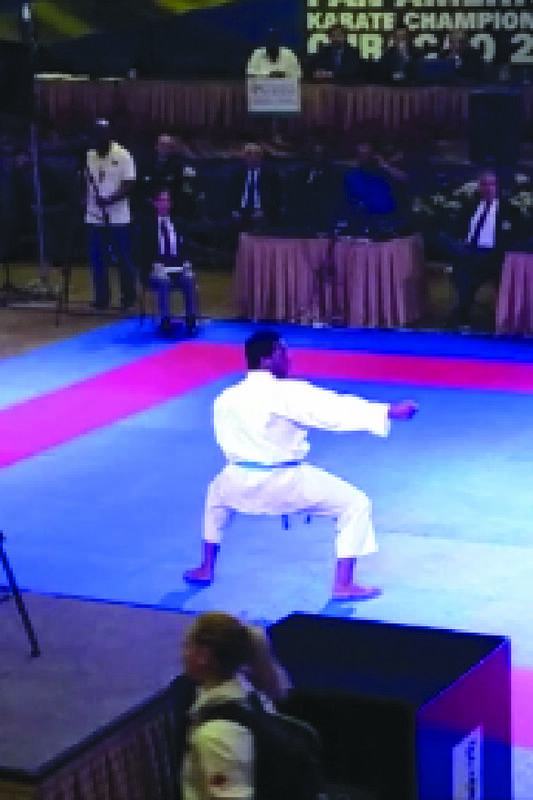 Following Rogers' sixth-place performance at the Karate World Championships last year, Rogers said he and Green sat down and focused on learning brand-new kata, or karate techniques, for the PKF Championships. "What he performed in Curacao is competitive enough to win the World Championship," said Green. The training for Rogers' new kata was difficult, but made a clear difference. "At first it was hard to master. After two months, though, I started understanding the movements more," Rogers said. "Getting the rhythm down was the biggest challenge." The category Rogers competes in is measured on how precisely kata are performed, with more points being awarded for more complex kata. Even though Rogers had only been training in his new forms for around four months at the time of competition, he didn't doubt his abilities. "I was confident. I was 100 percent sure I was going to medal in some way," he said. Despite his confidence, Rogers said he works to keep himself from having an ego. "I'm proud of my accomplishment, but humbled, too," he said. "You have to be appreciative of where you came from and where you are." Rogers was diagnosed with autism several years ago when he was in his early 20s. Soon after, he started attending Green's Karate to study under Green. Green's dojo has numerous students with disabilities training for national and international competition. Green said the school has 12 competitors lined up to compete at U.S. Nationals, four of which will compete in the para-karate category for those with intellectual, visual or physical disabilities. However, of those four, three will also be competing outside of para-karate, being pitted against able-bodied and neurotypical athletes. Green stresses he doesn't teach an abbreviated or altered form of the martial art — he doesn't break any rules or relax any expectations for his students with disabilities. He's currently working on patenting his training techniques for wider use around the country. As for Rogers, his eyes are trained on earning a medal at the Karate World Championships next year, where he will have to top the members of a very competent German team that has medaled at several world championships. For now, though, he's willing to bask in his victory. "It's only hitting me now," Rogers said. "You barely realize it at first in that moment, but looking back on it it's a good feeling." For more information about Green's Karate, call 432-5280.